Trips to the dentist aren't something I particularly look forward to. Lying awkwardly in a chair and having someone scrutinize my gaping mouth, not to mention cringing through all the buzzing and scraping from powerful dental tools isn't the most pleasant experience if you ask me. As a child, my yearly checkup often resulted in me having to get a new cavity (or two) filled, and despite thinking I took good care of my teeth, I still had a couple more in my early adulthood. Since transitioning to a plant-based lifestyle and changing my oral hygiene routine, I have had a clean bill of dental and overall health, having significantly decreased my consumption of acidic and tooth-decaying foods such as meat, dairy and processed foods, including artificial sugar. 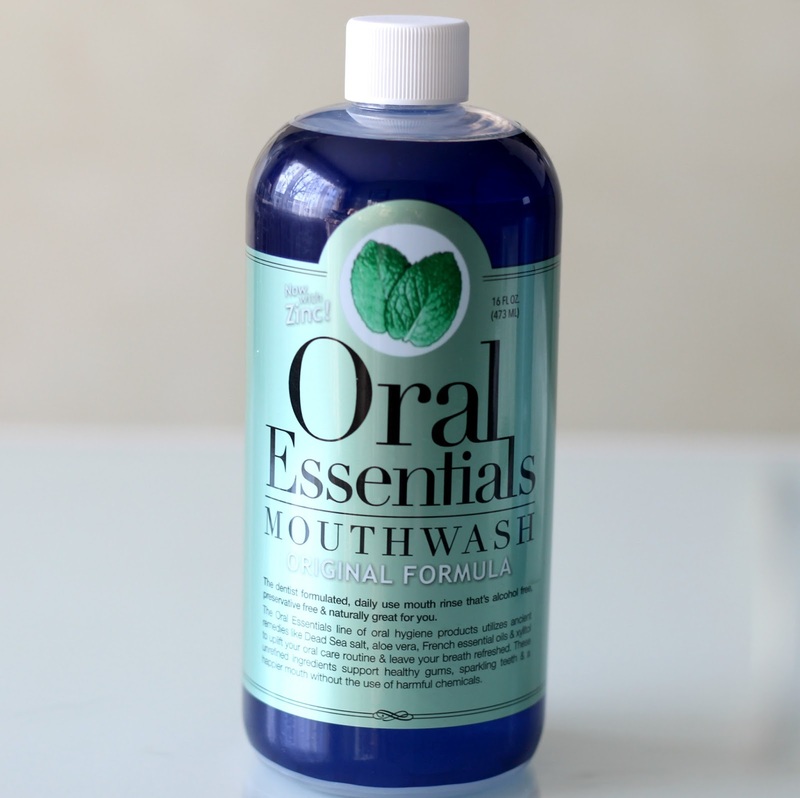 Using exclusively plant-derived dental products void of harmful chemicals for over two years, I wanted to share what I've been loving, including some new additions from Oral Essentials: their mighty effective mouthwashes. While conventional toothpastes and mouthwashes contain ingredients such as alcohol, fluoride, dyes and SLS which do more bad than good, I've opted to ditch these in favour of 100% natural ones. Particularly, I've been using the Now Solutions Xyli-White Toothpaste Gel which I've mentioned a handful of times (see here) and still use it to this day. 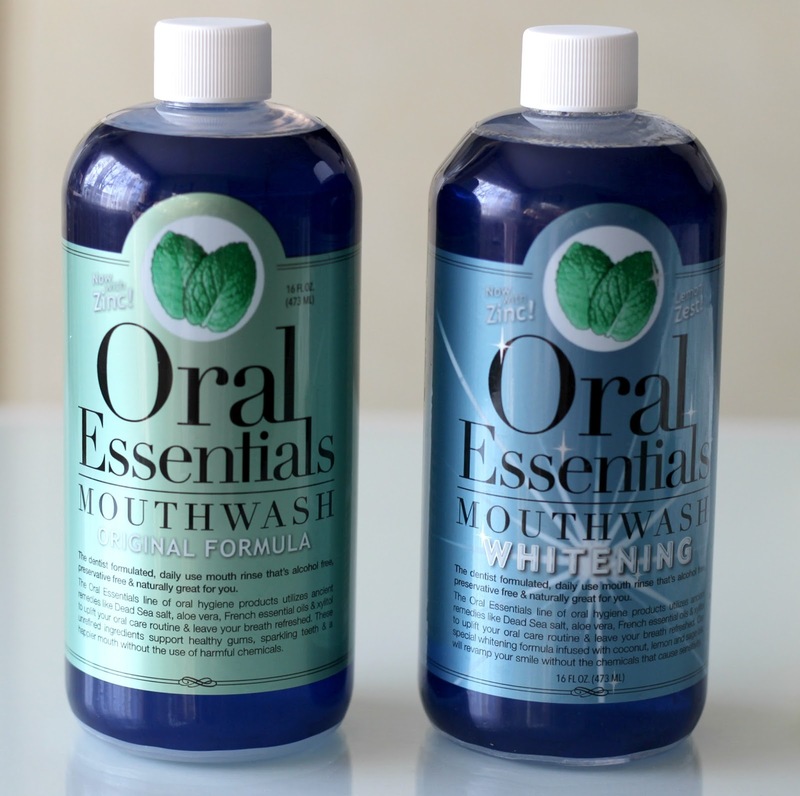 I've also been repurchasing the Desert Essence Tea Tree Oil Mouthwash (more here) and have recently been switching it up with the Oral Essentials Mouthwash, both in the Original and Whitening formulas. Oral Essentials was founded by Dr. Kourosh Maddahi, an esteemed dentist from Beverly Hills, California. A firm believer in the power of nature, he developed his own line of dental products he could be confident to recommend to even his most sensitive patients. Made ethically and in small batches, these preservative-free, glycerin-free natural mouthwashes contain some of the most powerful ingredients to restore one's oral health, combining both ancient natural remedies and modern science. These include dead sea salt, the world's most potent salt, French essential oils, organic aloe vera, zinc and non-GMO xylitol to fight dental decay and bad breath. 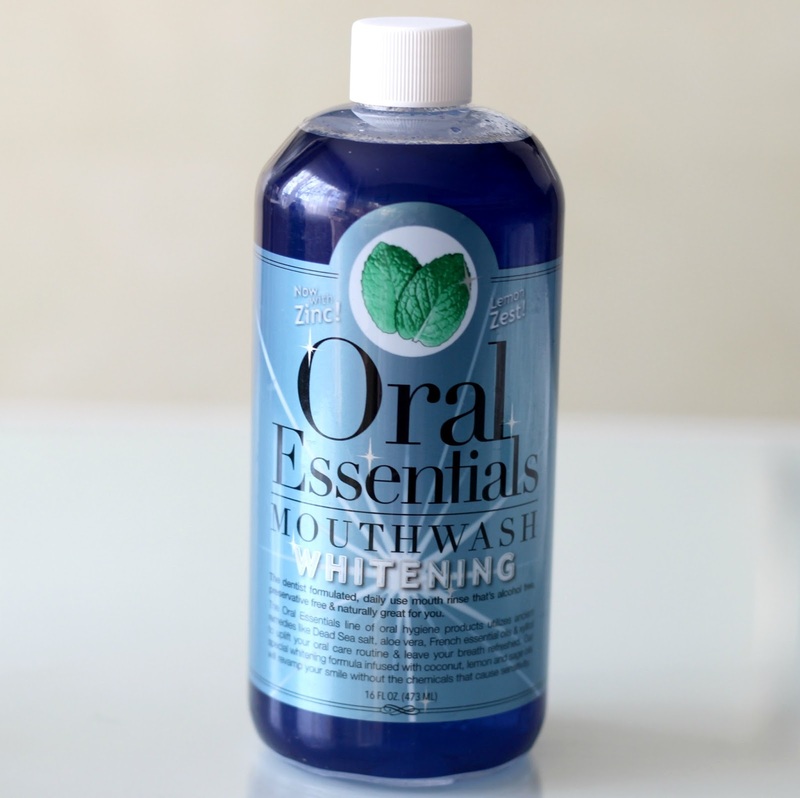 The Oral Essentials Mouthwash Original* (US$11.99, 16 oz.) is made with a mixture of oils including holy basil, peppermint, spearmint, wintergreen and clove flower. The Whitening Formula* (US$13.99, 16 oz.) additionally contains coconut, lemon peel and sage oil, all recognized for their tremendous whitening properties. Both are very refreshing yet do not sting or burn and leave my mouth feeling fresh and clean. My favourite would definitely have to be the whitening formula as I have noticed results after only a couple of uses. As with most natural mouthwashes, it takes some getting used to because the taste is quite different from your typical drugstore mouthwash. I personally find these chemical-free ones to be much more pleasant because they are gentle and effective without causing harm thanks to their vegan, eco-friendly ingredients. Oral Essentials will also be coming out with their own toothpaste very soon which I'm looking forward to try, so keep an eye out! You can purchase the Oral Essentials online here. Looking to whiten your teeth naturally with something you probably already keep in your pantry? Learn more here. Have you made the switch to natural oral hygiene? the Healthy Happy Green & Natural Party. I'm pinning and sharing.